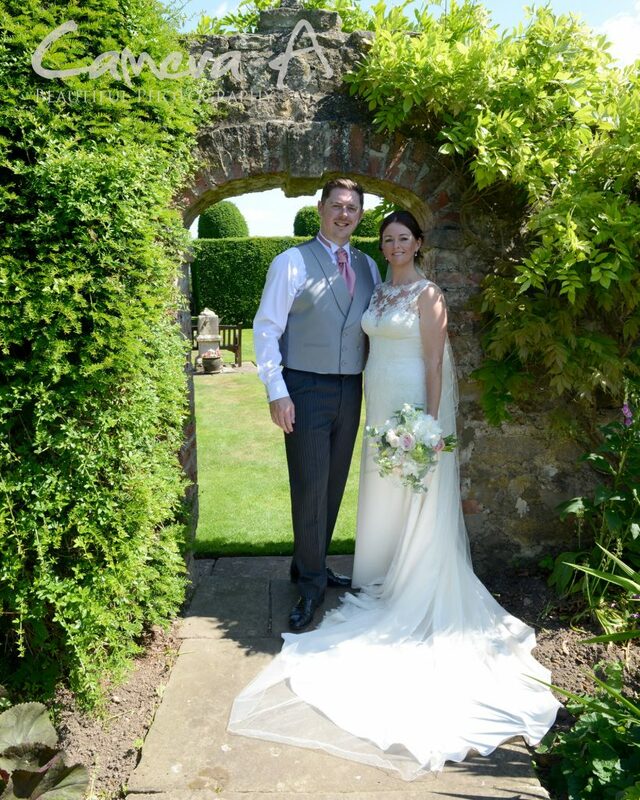 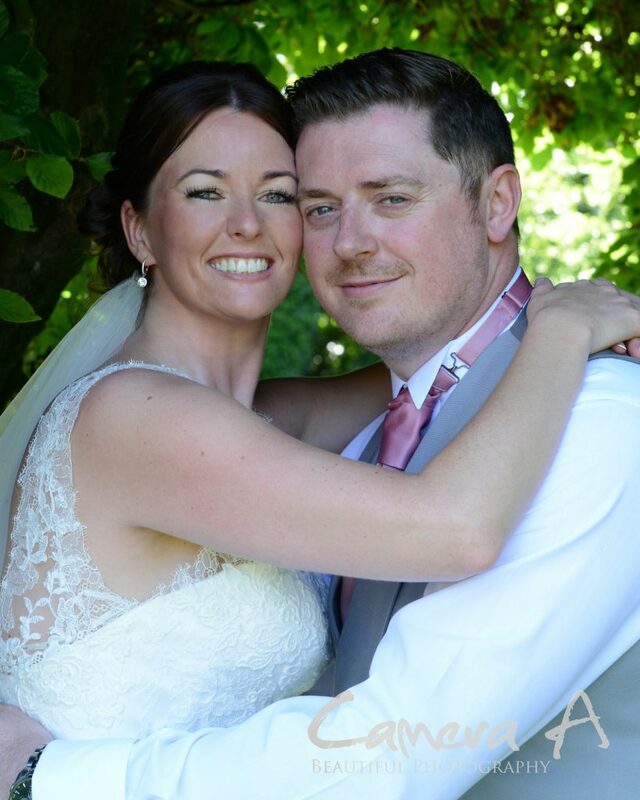 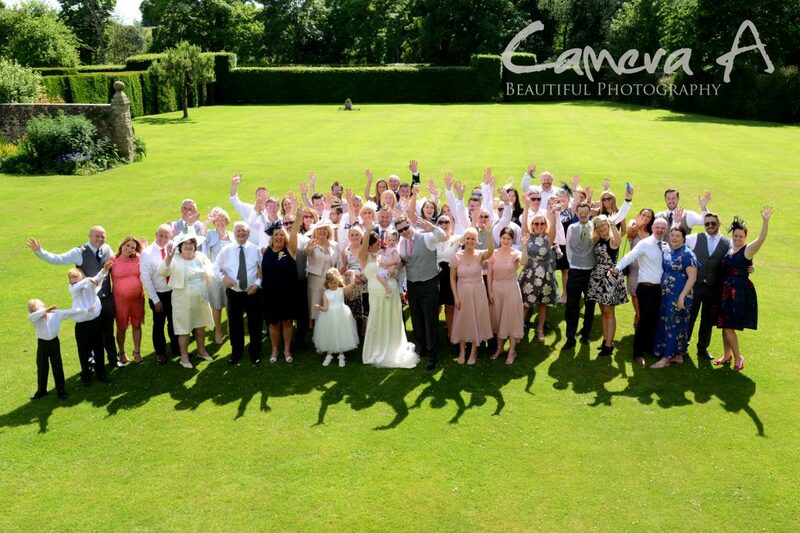 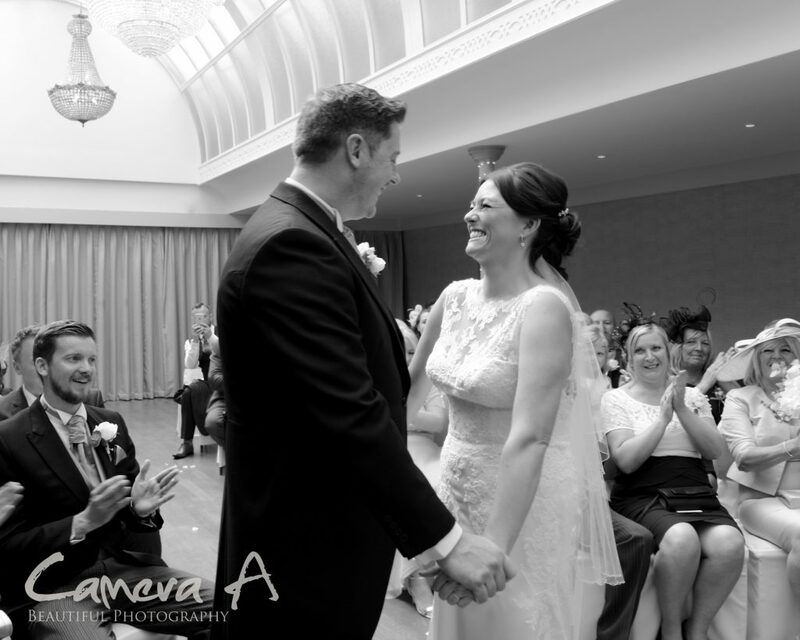 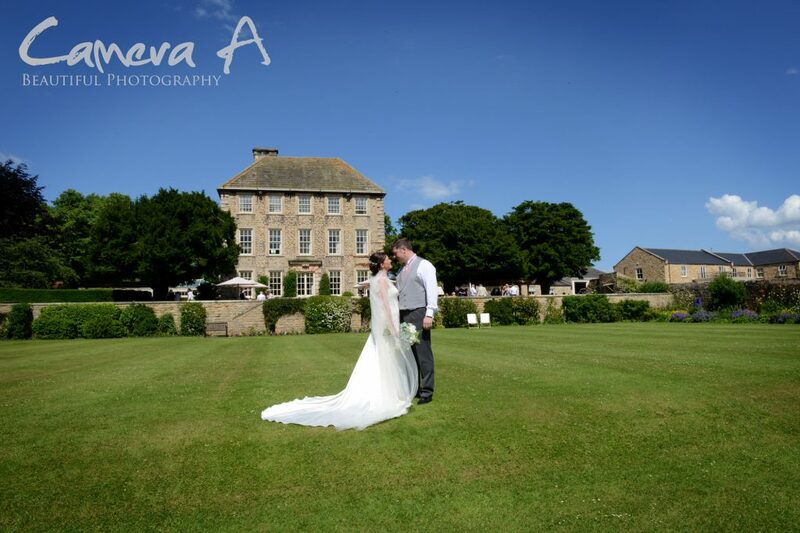 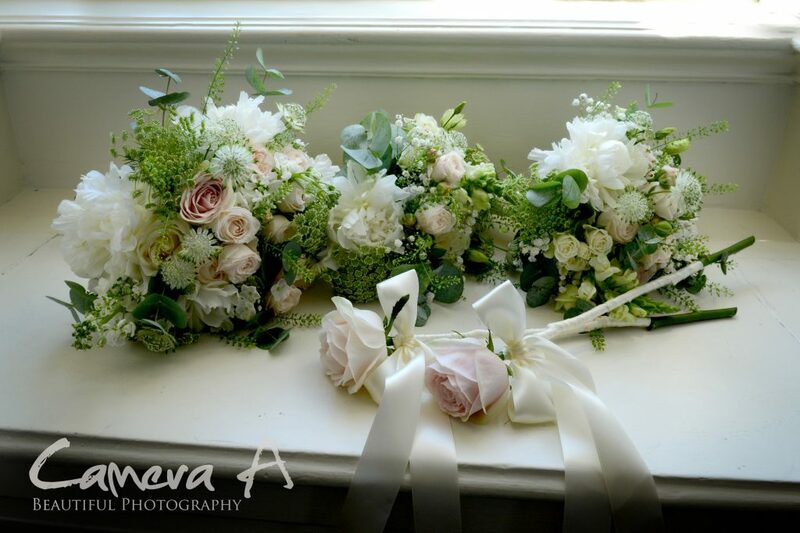 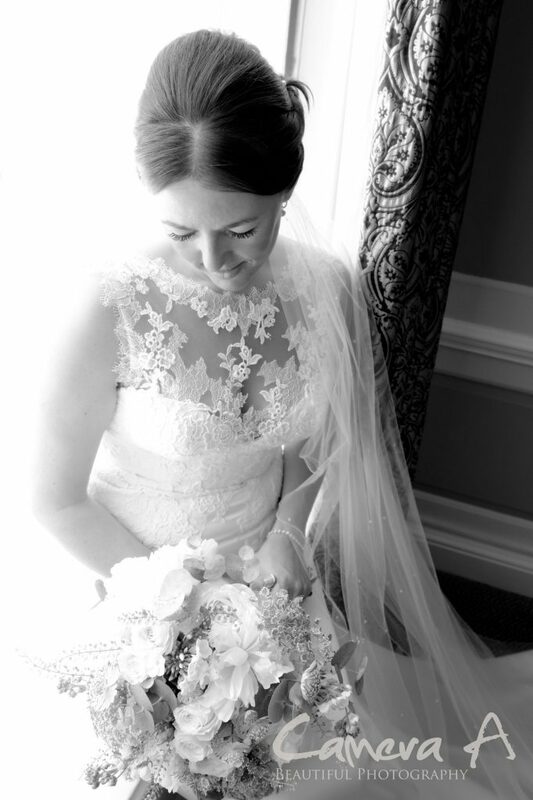 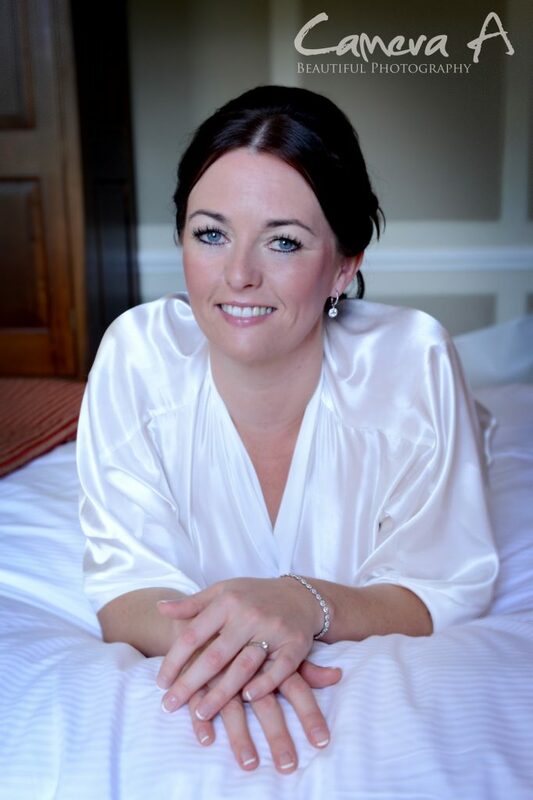 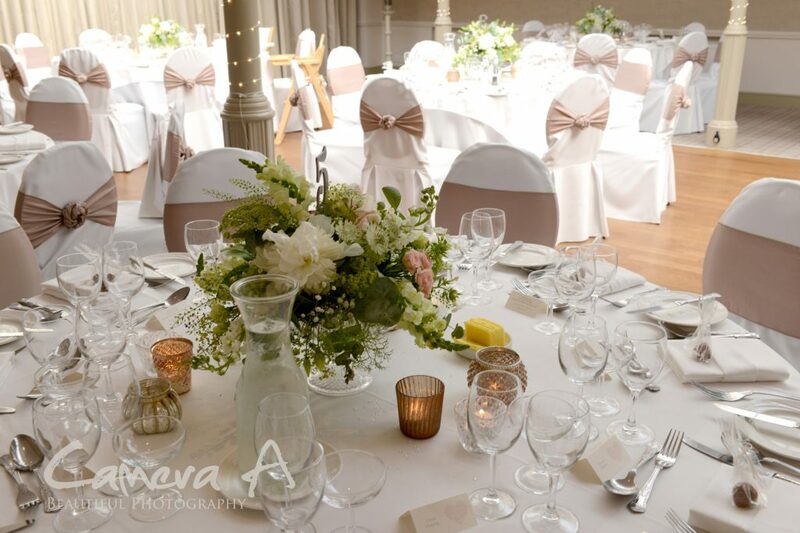 Rachael & Andrew were married on Sunday 18th June at Headlam Hall, one of our favourite venues! 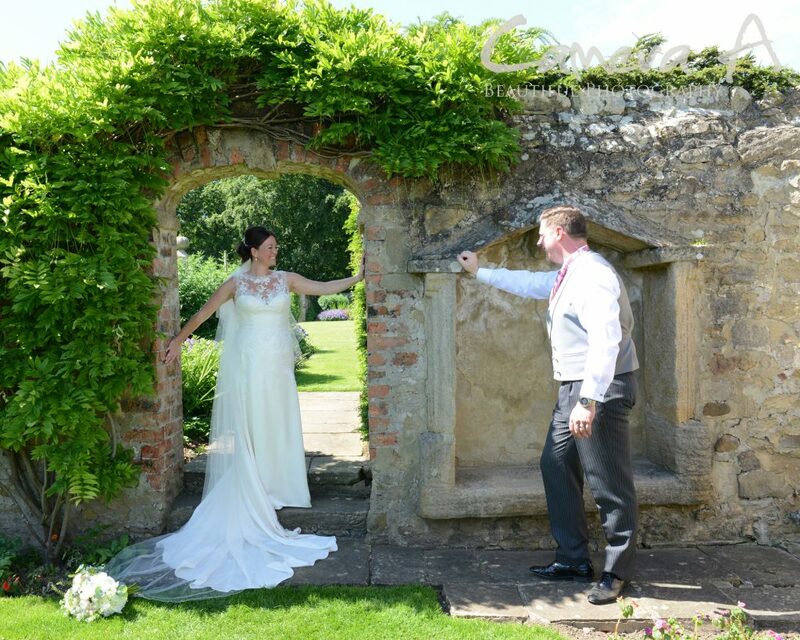 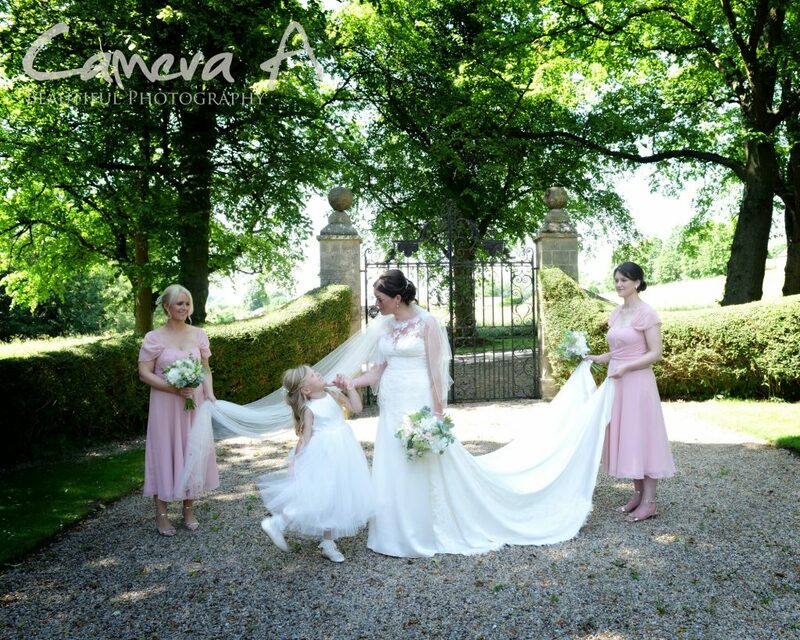 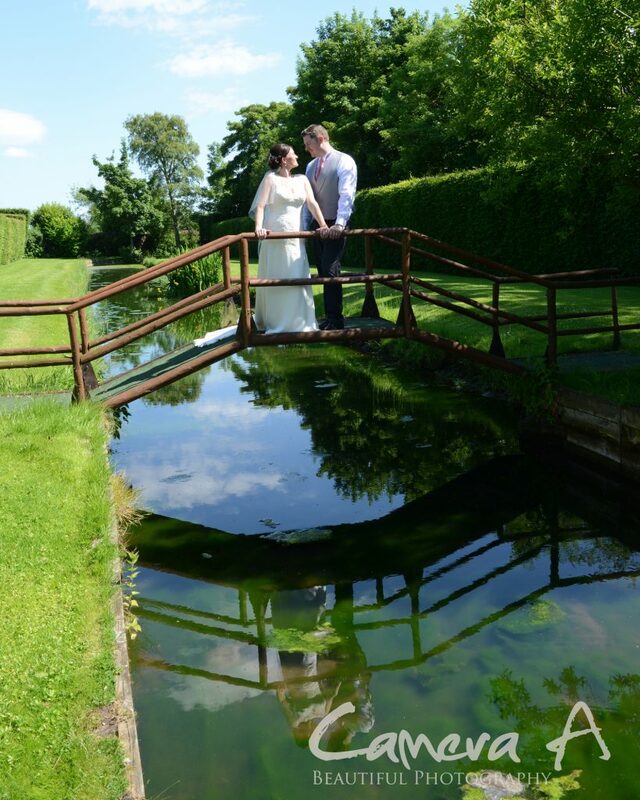 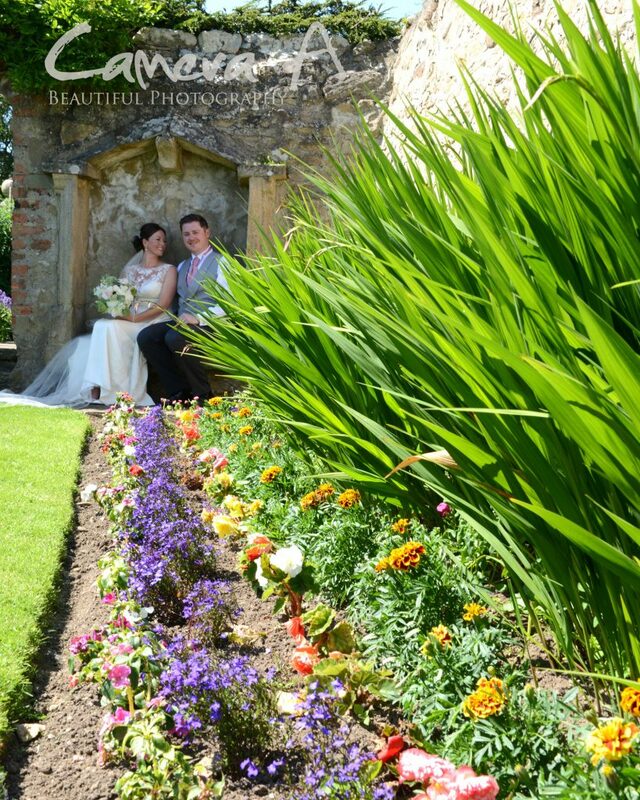 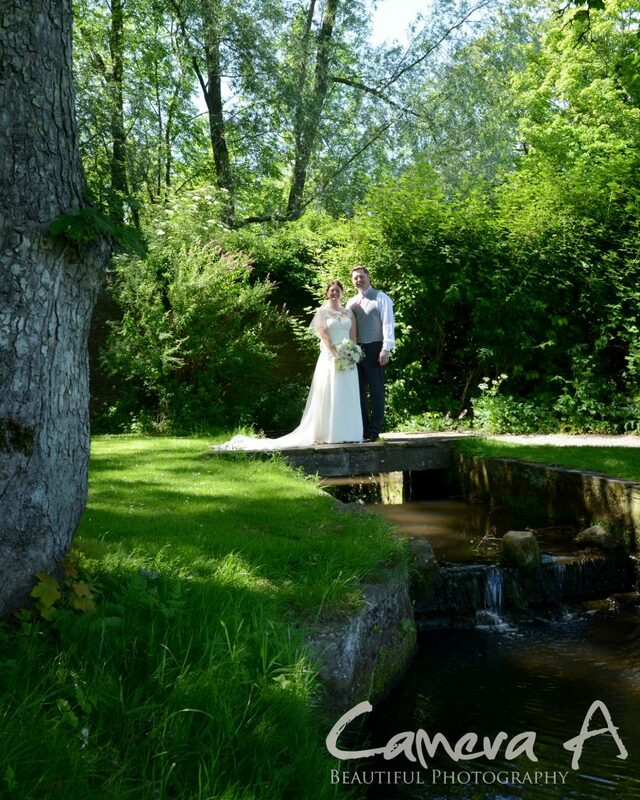 We are proud to be their recommended photographers and just love the beautiful grounds there. 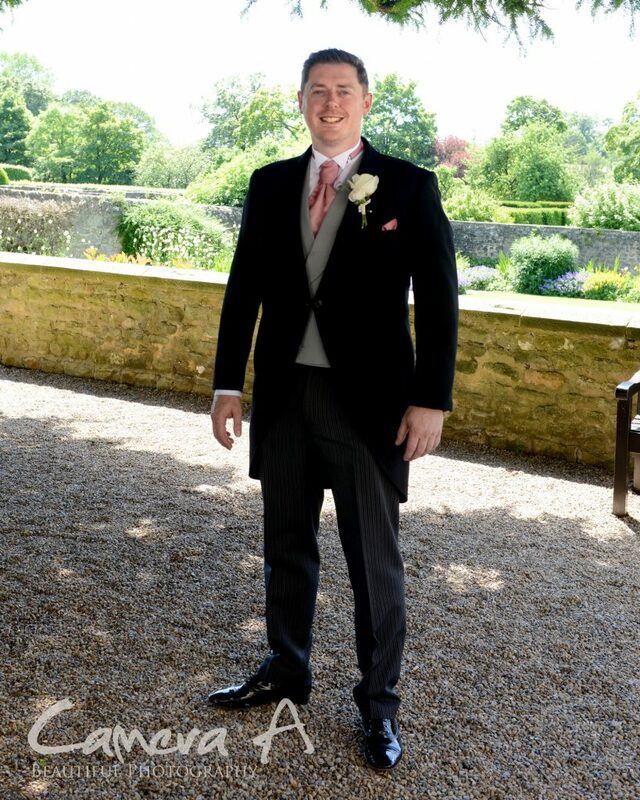 This was Father’s Day and the hottest day of the year! 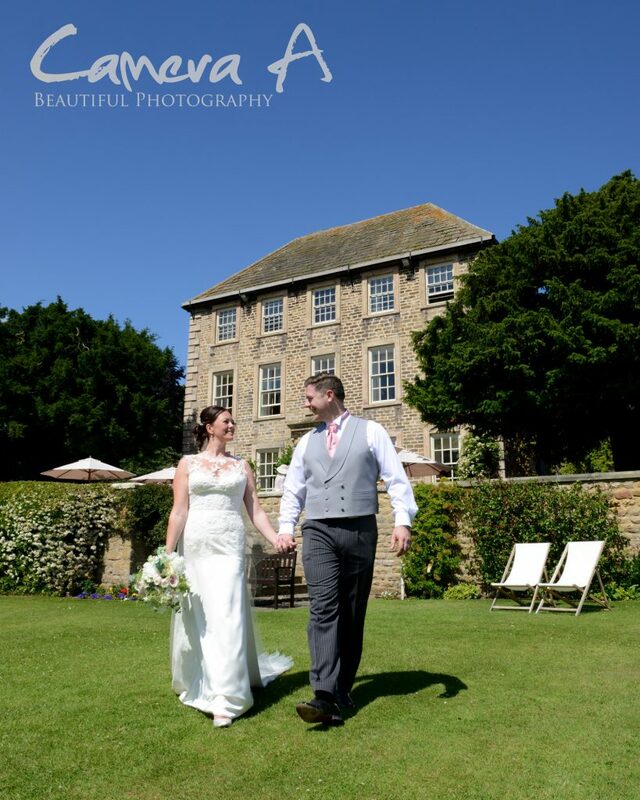 What a scorcher with temperatures of 30+! 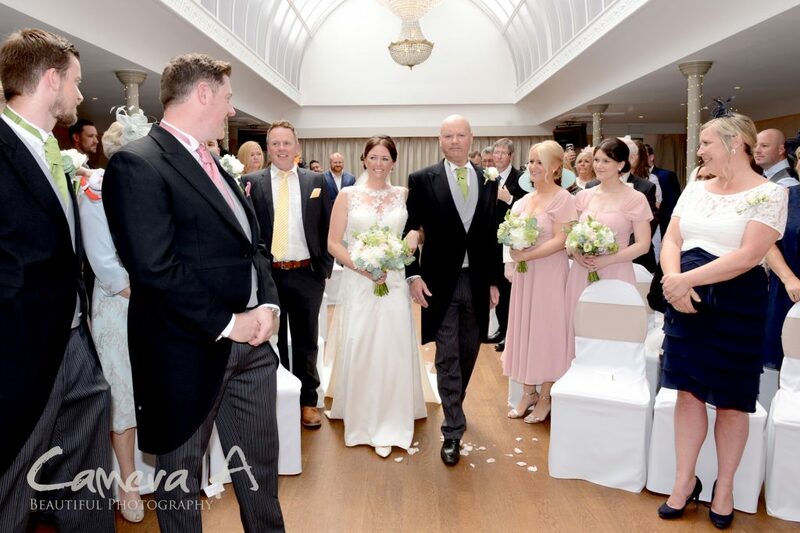 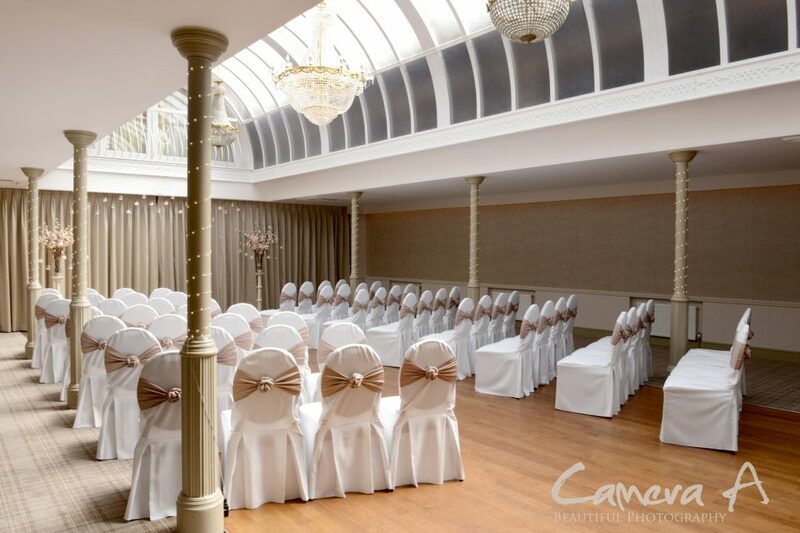 After a beautiful ceremony in the Edwardian Suite which was beautifully dressed by Lisa Charles, everyone enjoyed the drinks reception outside. 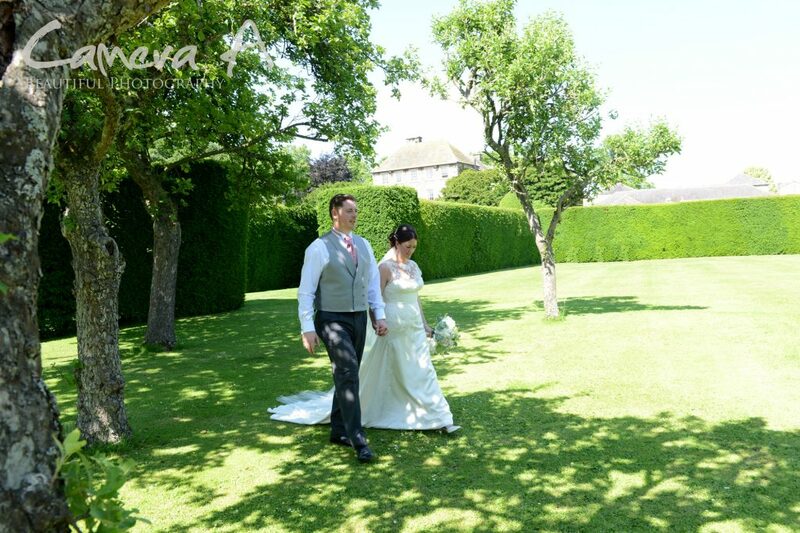 Under the shade of the trees, guests were entertained by magician, Andy Larmouth. 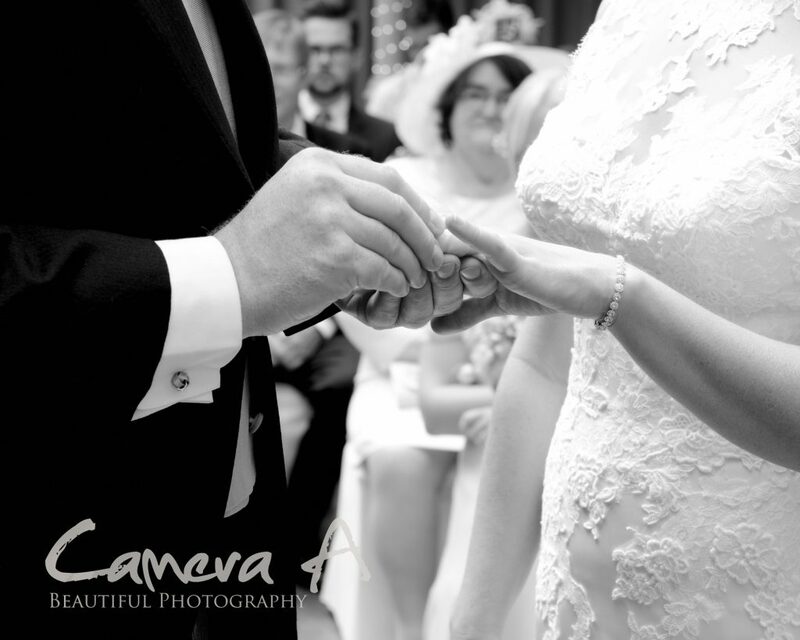 We are always amazed by Andy’s magic, he absolutely baffles us! 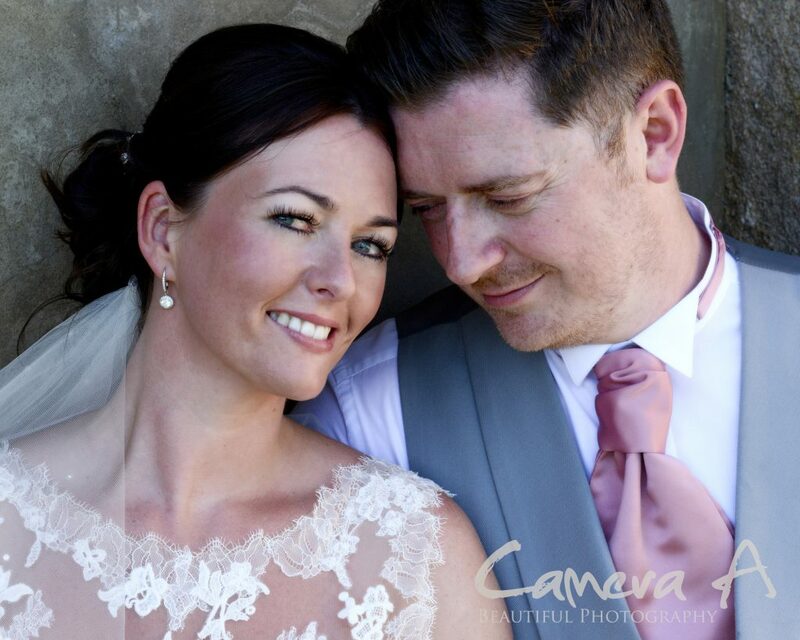 The happy couple thoroughly enjoyed their big day and were great to photograph. 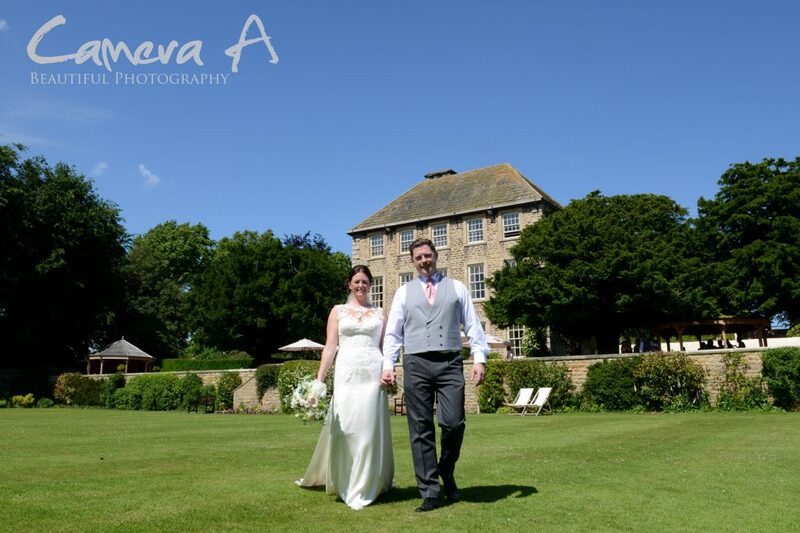 The beautiful blue skies made the perfect back drop for the photographs and Rachael & Andrew were thrilled with their photographs.